Recently, Sam and I sat down to brainstorm ideas for content related to this year’s slate of music festivals. Now, Sam and I love us some music festivals. I think between the two of us we’ve attended over 50—Coachella, Lollapalooza, Outside Lands, and at least a dozen installments of SXSW (yikes, that’s a lot of Shiner Bock). We spent many of those festivals in the company of fabulously talented production crews, executing various wacky campaign ideas, such as capturing live performances Stripped Down By the River in Austin, or the amazing Moving Portraits series that our colleague Lauren Tabak produced for Google Play. Give us a press badge, a couple of cameras, and backstage access, and we’ll produce some of the best festival content you can find on the web. For this pitch, however, we wanted to do something different. One of my all-time favorite viral video series is the GI Joe PSAs produced by FenslerFilm. I love the idea of repurposing instructional videos as exercises in irreverent silliness. 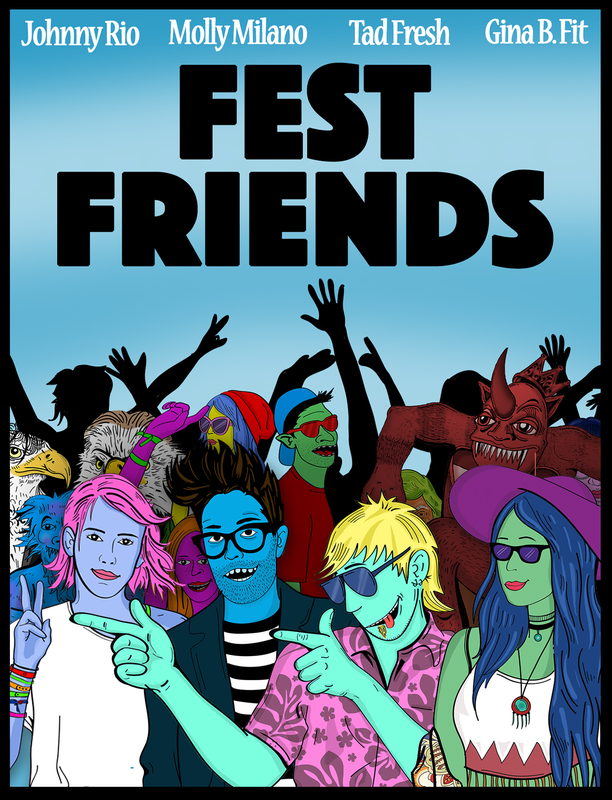 We wanted to create something similar, so we pitched the idea of the Fest Friends. 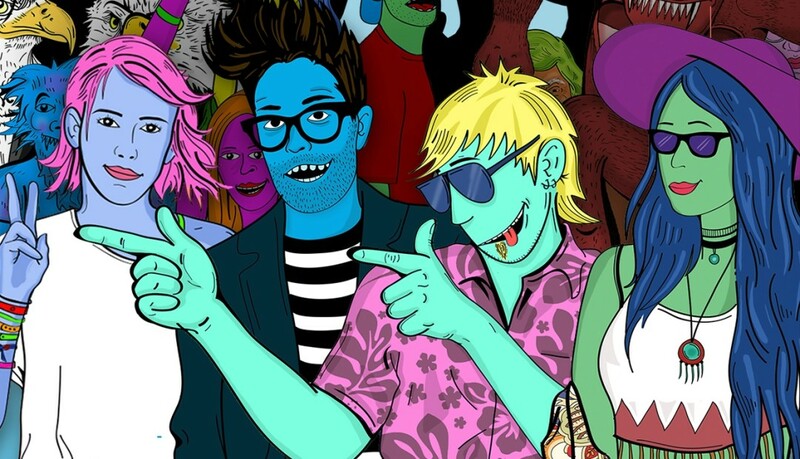 As conceptualized by the animation team of hip-hop MC and illustrator ProbCause and director Elijah Alvarado, the Fest Friends are four characters with festival-related super powers who show up to festivals to dispense advice and thwart their nemesis BuzzKill. Molly Milano. Molly is the fashionable scenester with impeccable taste in both music and hats. Her super power is the ability to charge anyone’s phone with her mind. Johnny Rio. Johnny is the party animal. He can worm his way to the front of any crowd, and he always knows where to find the shortest line for beer. His super power is being able to produce a can of Red Bull out of thin air. Tad Fresh. Tad is our resident music expert. From the headliners to the up-and-comers, Tad knows where to be and when to make sure he catches all the hippest acts. Tad’s super power is being able to rank anything, any time, anywhere. Gina B. Fit. Every self-respecting group of festival goers has a Gina—the Type-A personality who keeps everyone in line. Gina makes sure everyone stays sufficiently hydrated, wears sunscreen, and knows their dealer. Her super power is her ability to locate her fellow Fest Friends in any given sea of people. BuzzKill. Once upon a time, Buzzkill was one of rock’s greatest roadies, until he got hooked on Mr. Brownstone, aka brown M&Ms. In order to feed his addiction, he started selling behind-the-scenes photos of pop stars to tabloids. Once caught, he was banished from rock and roll forever. Now he spends his days driving a decommissioned tour bus around trying to exact revenge on the industry that spurned him. Sounds awesome, right? We think so. The Fest Friends concept lends itself to the full boat of content distribution channels: short video skits for Youtube; micro-videos and static images for Facebook, Instagram, and Twitter. 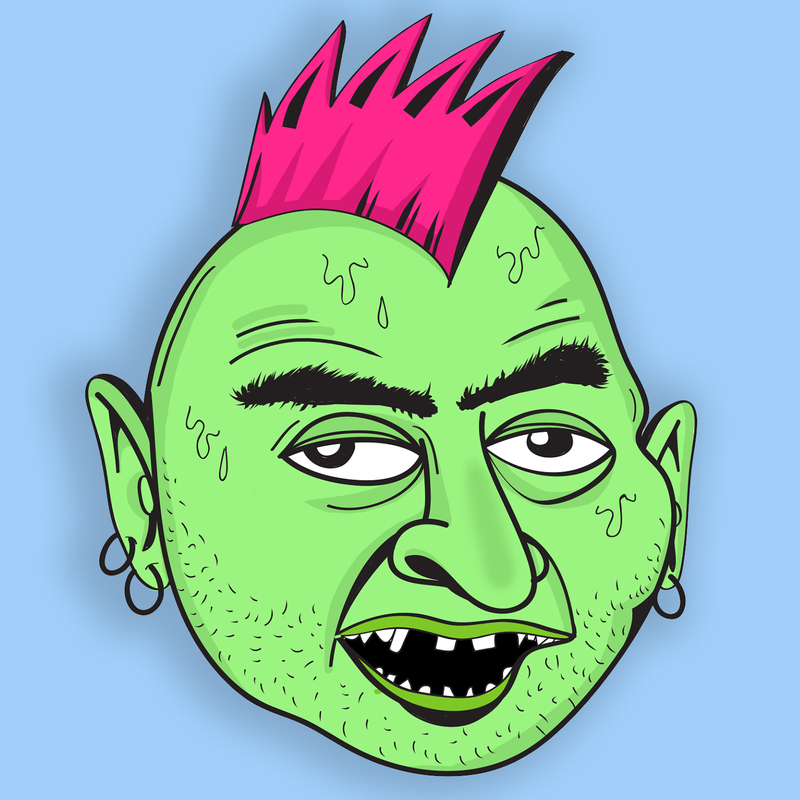 Heck, we can even make stickers and T-shirts. If you’d like to discuss bringing the Fest Friends to a future campaign, please reach out!